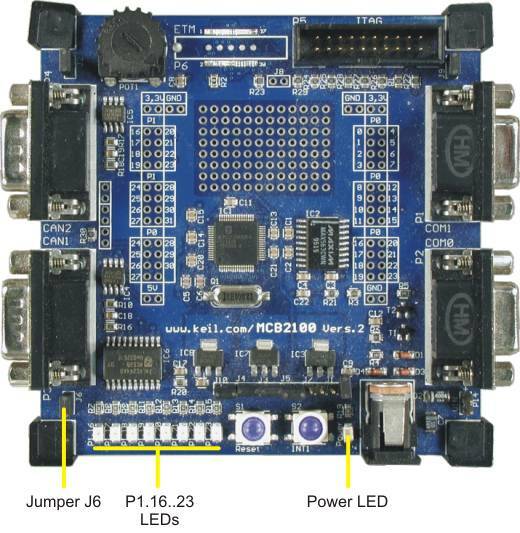 P1.16 - P1.23 connect to eight Port 1 pins when jumper J6 is installed. These LEDs can display program status while testing your applications. Removing Jumper J6 disables the LED drivers.